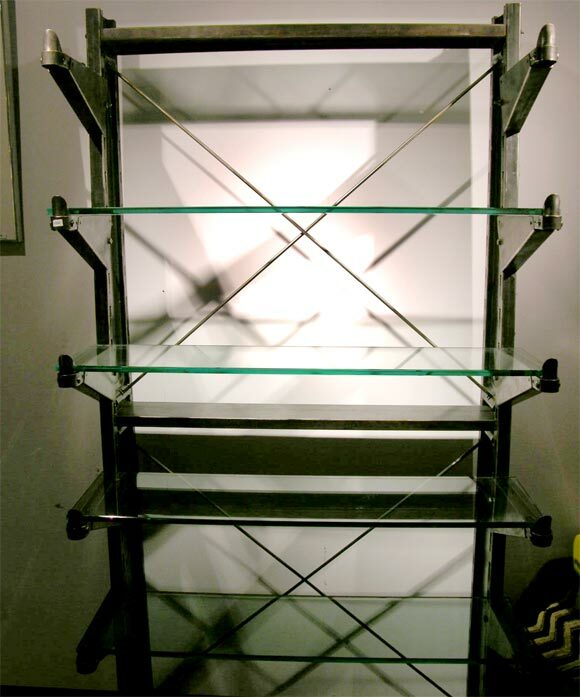 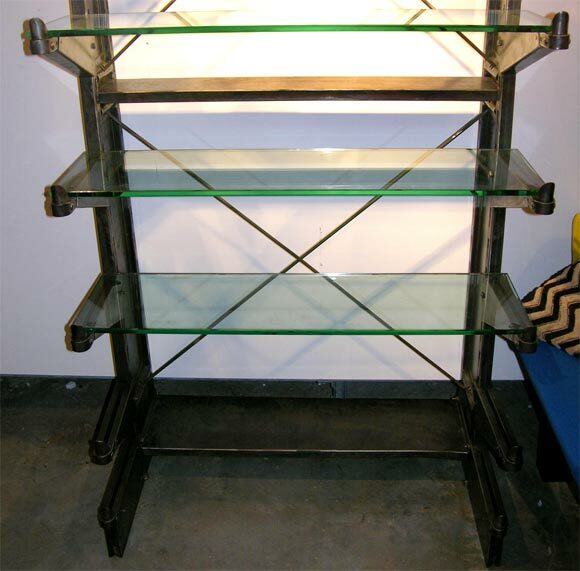 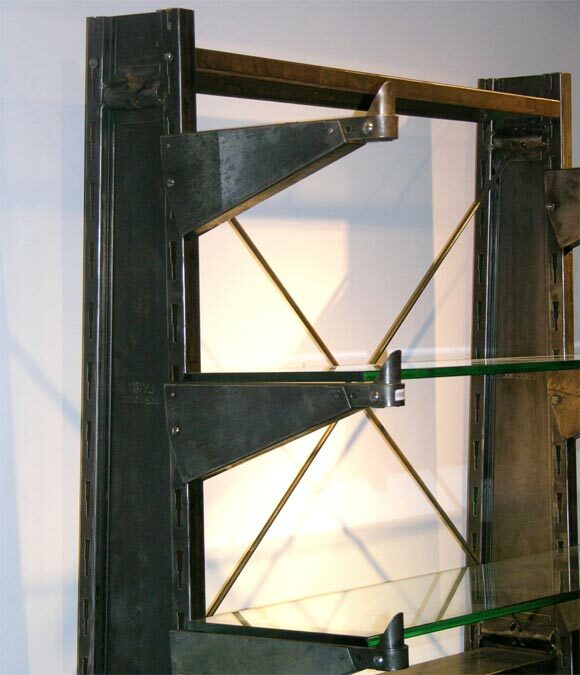 Polished Steel Industrial shelving unit w/glass shelving. 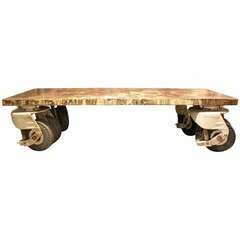 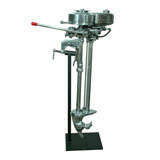 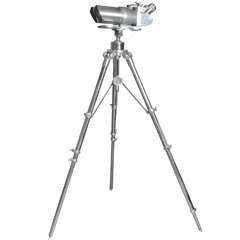 Stripped and high polished, this outboard motor takes on an entire new personality than it had in the 1930's. 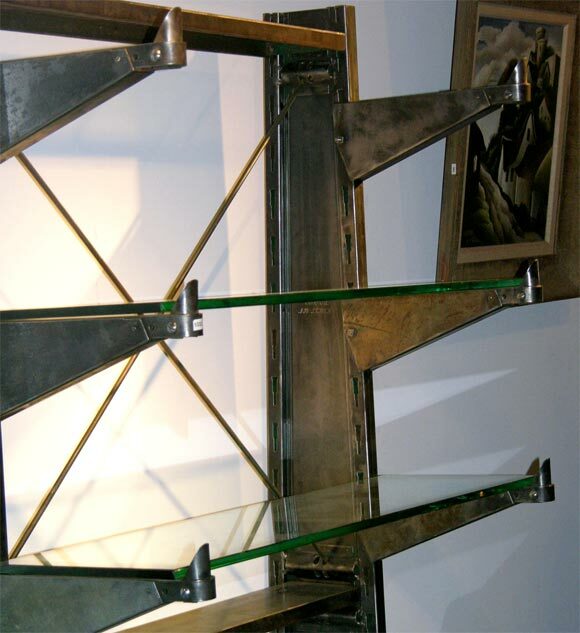 A slick, creative piece of sculpture. 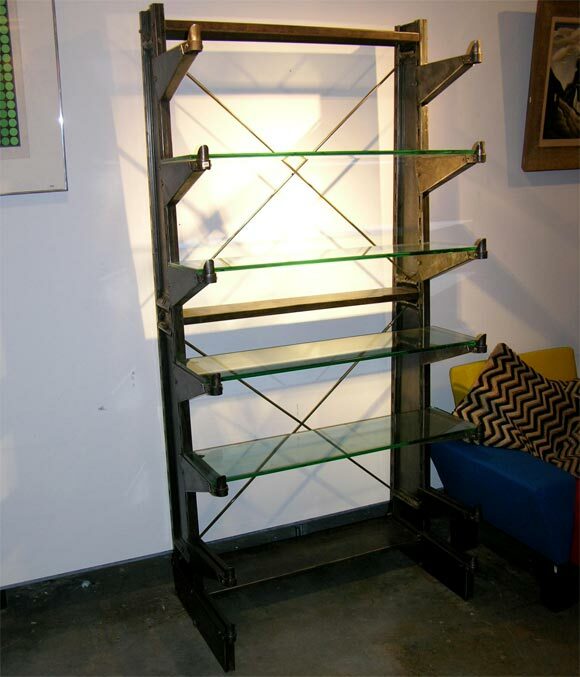 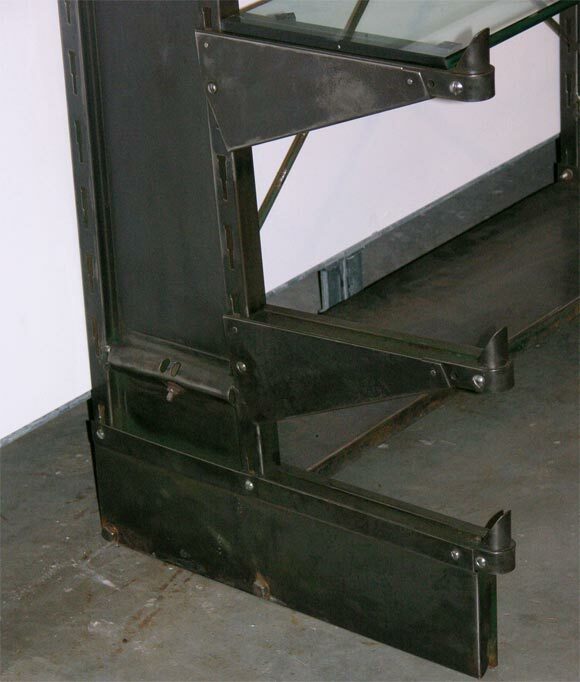 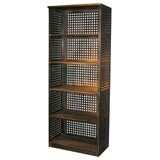 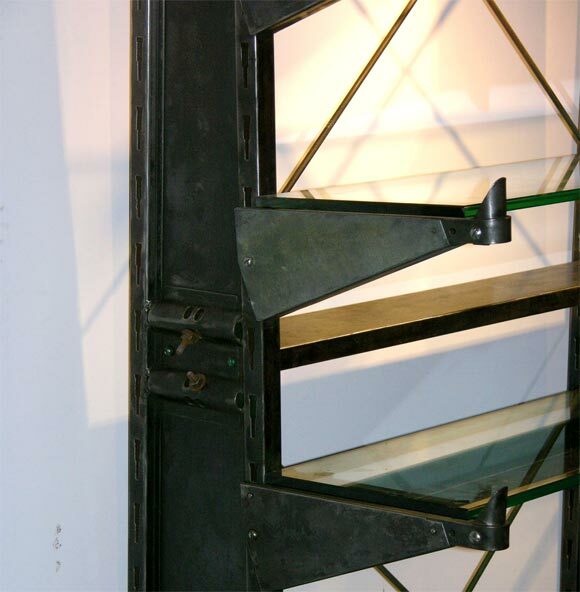 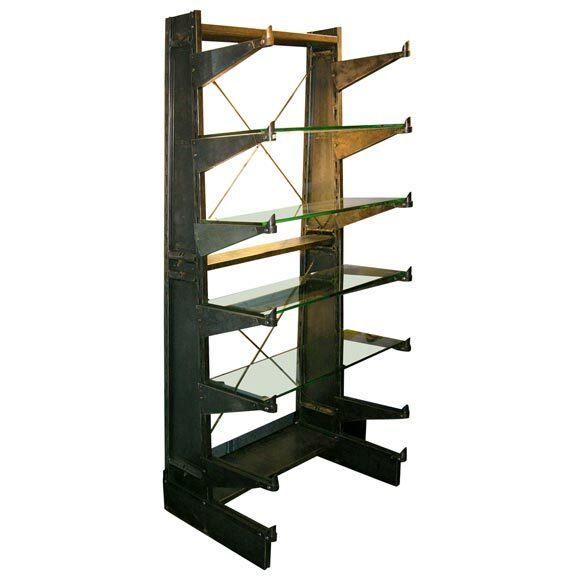 Large French industrial bookcase / shelving unit in the style of Charlotte Perriand.